*Wine tastings are a HUGE part of what we do! Whether it’s tasting wine table-side to find the perfect glass or bottle, or organized tastings weekly, monthly, or annually. Don’t forget group and private events, a great way to celebrate your special occasions or corporate events! 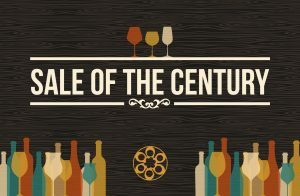 Every Wednesday come check out our complimentary wine tasting, a four-to-six varietal wine tasting that we host every week while also featuring about fifty other options at 50% off, a large selection of both wine by the bottle and by the glass. *Join us once a month! We shut down the restaurant to explore different regions and/or different concepts of wine at one of our varietal class / wine tastings! These events are reservation only, but all friends are welcome to make a reservation before they are sold out. These events can be taken one or all of three ways… Education: pay attention and pick up a few things about the style of wine that we are featuring, this can be a class. We introduce and briefly talk about each wine that we’re featuring, and then allow you to taste and enjoy while we answer any questions that you may have. Entertainment: sit back and relax, let us do all the work, and enjoy some of the best small production wine found at family wineries from all over the planet, paired with fresh homemade food, and all made from scratch! Sale: Yes, you can always take home any of the bottles that you find while at Nirvana. We are not only a restaurant and wine bar, but also a wine shop. All wine to take home is 50% off of the restaurant list price, and you can even get a deeper discount of 60% by joining our wine club. *Twice per year, DO NOT MISS something we call the sale of the century! A complimentary 50 open bottle tasting. Yes, a complimentary 50 open bottle wine tasting made of both our wine that we feature by the glass AND of our reserve list! This is a 3-hour event, not seated, no reservations, and you get to taste any wine that we have open. You can also take advantage of all wines at Nirvana at least 60% off or more of our restaurant list price, and WAREHOUSE pricing for any of our wine club members.